· Server Side Scripting Language. · Managing Ability for huge database-driven online applications. · Large Number of Modules Available for different applications. 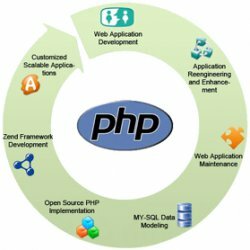 · All major present day virtual servers can be configured for PHP Development. · HTML Code can be embedded within PHP Code.